The Columbus Development ("Columbus") is a gas-condensate accumulation in the Forties Sandstone Formation and has been fully appraised by four wells. It has been comprehensively mapped and modelled by Serica in preparation to progress the field through development and on to production. In 2018, Serica announced it had received approval of its Field Development Plan by the OGA. Serica plans to develop Columbus via the Shearwater platform, 35km to the Southwest, utilising the same pipeline route as the Arran field development. 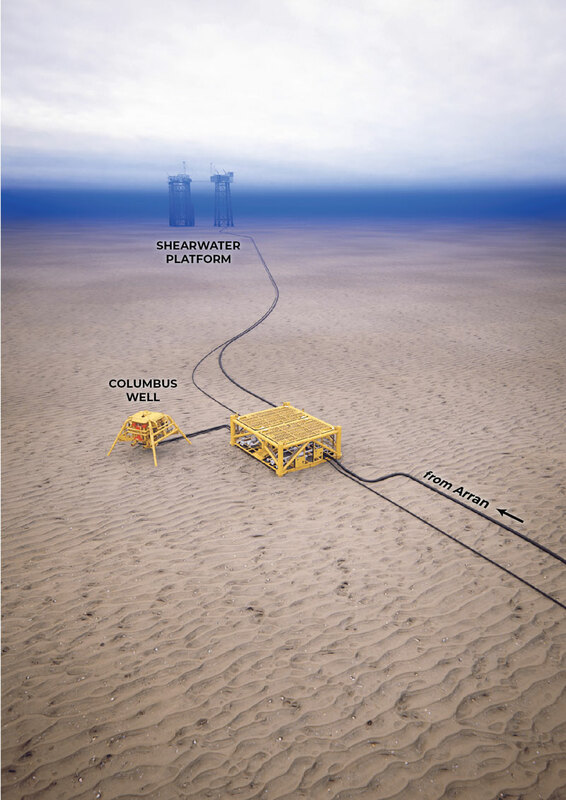 Columbus will be drained by a single subsea well, which will be connected to the recently approved Arran-Shearwater pipeline, through which Columbus production will be exported along with Arran Field production. When the production reaches the Shearwater platform facilities, it will be separated into gas and liquids and exported via the SEGAL line to St Fergus and Forties Pipeline System to Cruden Bay respectively. Columbus development timing will depend on the Arran-Shearwater pipeline being tied into the Shearwater platform in Q3 2020. Columbus start-up is targeted for Q2 2021.